Continuing on from new T-SQL features of SQL Server 2012, I wanted to explain about the new CREATE SEQUENCE feature. What is CREATE SEQUENCE for? A common feature in table design is to place an auto incrementing number on a field in the form of an IDENTITY column. So this is an easy way of maintaining a sequential number on a table. 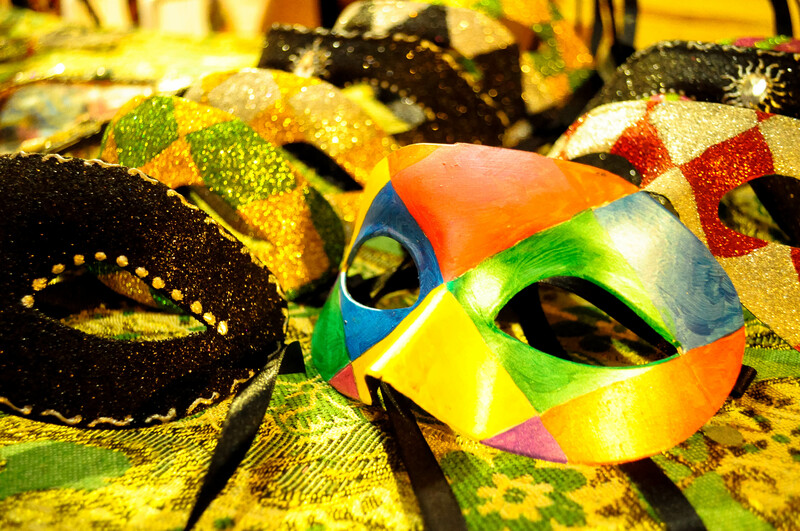 What if you wanted to create a database wide identity? 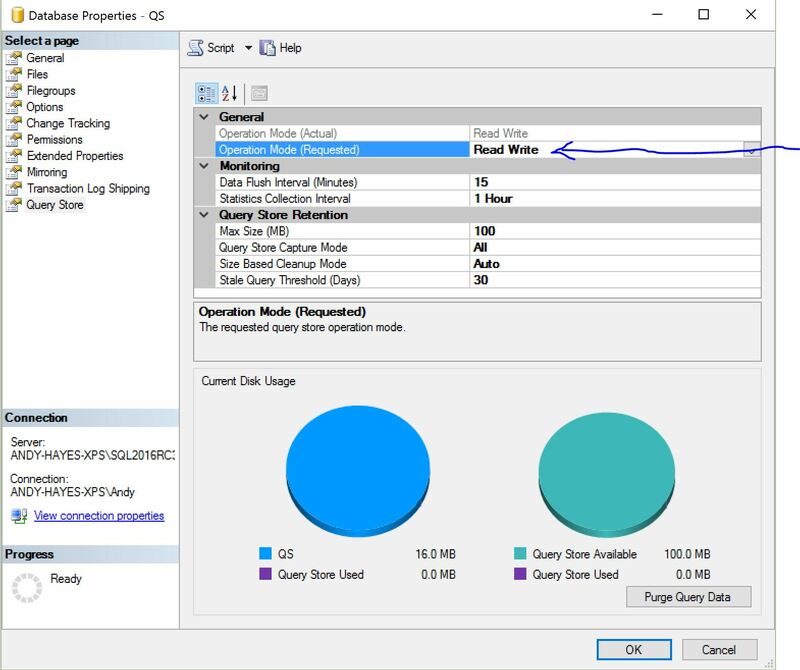 Prior to SQL 2012, you might choose to do it by having a table sitting there in the middle of it all with a numeric field which gets updated by some function every time a new identity is created. CREATE SEQUENCE takes away this overhead. 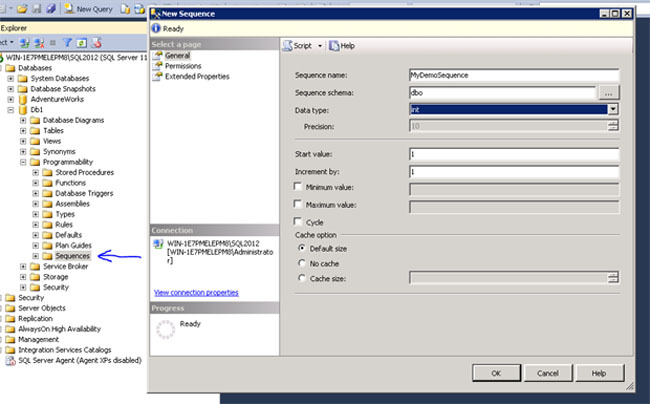 You can create a sequence either using SQL Server Management Studio or using T-SQL. In Management Studio, find the “Sequences” folder under “Programmability” beneath the database you want to add a sequence for. Here you can configure the sequence according to your design. Note that START, INCREMENT, MINVALUE and MAXVALUE must be configured within the boundaries of the data type. For example, you couldn’t specify a negative START value for a TINYINT data type. So what else is there to know about CREATE SEQUENCE? CYCLE and NO CYCLE tells the sequence to cycle back round to the minimum value when the last value has been allocated in the sequence. By default, this is set to NO CYCLE. CACHE or NO CACHE, designed for performance benefits in reducing IO requests for new numbers out of a sequence. A cache value can be specified and the numbers up to the maximum cache value are loaded up into memory until the cache is exceeded and a new set of numbers is required. For example, you might create a sequence with a cache of 20. When a value is needed from the sequence, the minimum value in the sequence up to and including the CACHE value are loaded into memory. The CACHE value of 20 is written to the system table sys.sequences and when 20 gets used and 21 is requested, then a fresh set of numbers is allocated to the cache (21-40) with 40 being written to the sys.sequences table as the CACHE value.